The 1,400 year-old spiritual path known as Sufism emphasizes the power of love to create transformation in a person’s consciousness. One of the greatest teachers of the Sufi path is Jalaluddin Rumi (1207-1273), a Persian mystic whose poetry and writings on love have become extremely popular in recent years. 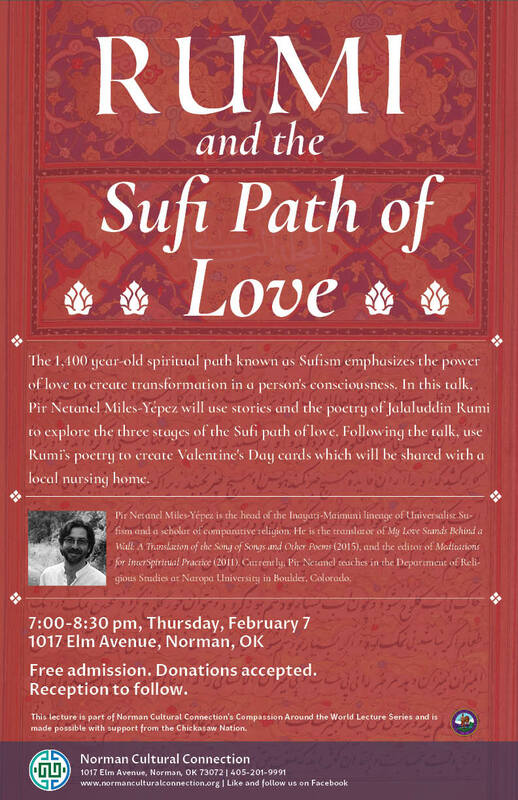 In this talk, Pir Netanel Miles-Yépez, will use stories and the poetry of Jalaluddin Rumi to explore the three stages of the Sufi path of love. Pir Netanel Miles-Yépez is the head of the Inayati-Maimuni lineage of Universalist Sufism and a scholar of comparative religion. He is the translator of My Love Stands Behind a Wall: A Translation of the Song of Songs and Other Poems (2015), and the editor of Meditations for InterSpiritual Practice (2011). 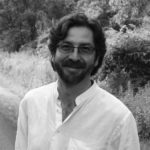 Currently, Pir Netanel teaches in the Department of Religious Studies at Naropa University in Boulder, Colorado.